The Tissint Meteorite was the first Martian witnessed fall since 1962. It is also special because the meteorite may contain carbon which has a biogenic origin. 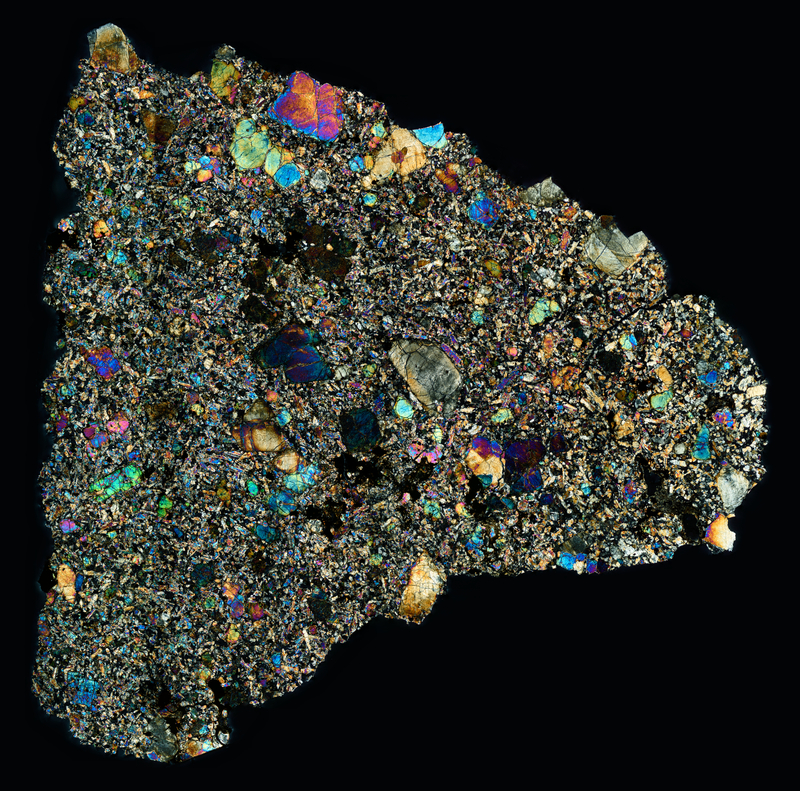 Under cross polarized light, thin sections of Tissint are a beautiful rainbow kaleidoscope of color in patterns similar to other Martian shergottites.